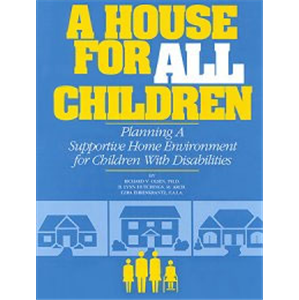 This book provides many architectural suggestions, guidelines and resources for making a home safe and accessible for children with special needs. 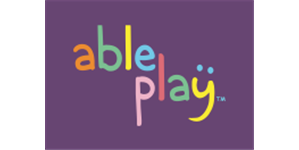 AblePlay is a consumer website for families and professionals with ratings and reviews of toys for children with disabilities. 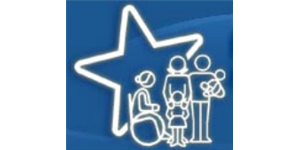 The website features comprehensive evaluations by Lekotek’s special education and therapy experts and provides star ratings (1 – 5 stars) in four disability categories: physical, sensory, comunicatitve, cognitive, and social/emotional. 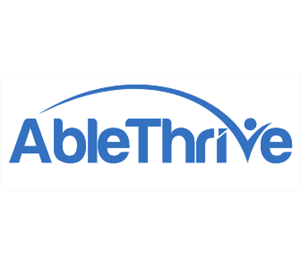 AbleThrive is central hub of aggregated support resources customized for people with disabilities and their families. Find information on life skills, parenting, relationships, activities and travel. Adaptive Adventures provides progressive outdoor sports opportunities to improve quality of life for children, adults, and veterans with physical disabilities and their families. Programs include alpine ski and snowboard, cycling, dragon boat racing, kayaking, rock climbing, sailing, scuba, water-ski and wakeboard, and whitewater rafting. This website was developed by an interdisciplinary team of researchers and practitioners with expertise in pediatric injury, child health care, and traumatic stress at the Center for Injury Research and Prevention at the Children’s Hospital of Philadelphia. Through cutting-edge research on the effects of injury on children and their parents, After The Injury was created for families looking to learn more on how to help their injured child respond in a healthy way. 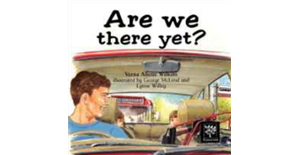 Delightfully illustrated, well written story about everyday activities of families living with a spinal cord injury for young or early school age children. 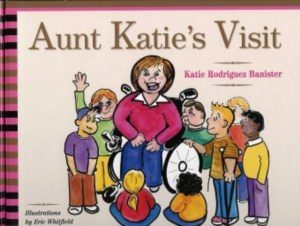 This delightful book, by Katie Rodriguez Baxter, is a wonderful resource to begin a discussion with children about differences and abilities; useful for teachers and parents. Zack Weinstein was canoeing with a group of friends down the Saco River, in Maine. While jumping into a shallow part of the river, Zack broke his neck. At nineteen-years-old he became a C5-C6 Quadriplegic. In service to others facing life-altering injuries, the short film Back in Life was created. By sharing Zack’s powerful experiences, the film may provide others with needed strength in an oftentime daunting situation. Going to college is a major life change for anyone, and it may present an especially daunting challenge for wheelchair users. 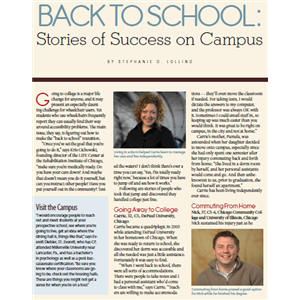 This article from New Mobiity magazine provides helpful tips for transitioning to college and achieving a positive campus experience. Choose from over 70 forums in which hundreds of users are able to interact, share pictures, and post comments. Questions can be posed to an experienced spinal cord injury nurse who will post back and forth with you helping you find answers and define questions you can ask your doctor. You can also follow what’s new in research as well as read articles by research professor and founding director of the W.M. Keck Center for Collaborative Neuroscience Dr. Wise Young who answers questions and posts on topics surrounding disability. The Spinal Cord Injury Community Forums can be a place to find answers to questions, inspirational stories, and empathy. Follow the threads to view questions and answers from others in your situation, post your own concerns, and receive feedback. 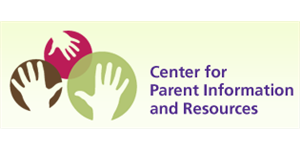 The Center for Parent Information & Resources offers a broad range of childhood disability resources, most of which are also available in Spanish. It serves as a national information resource on disabilities in infants, toddlers, children and youth. Scroll down the Resources page to view an array of information on K-12 issues for accommodations at school, career and college readiness, the IEP process, how to develop effective practices and enable parent advocacy. This website also identifies Parent Technical Assistance Centers (PTACs) by state. Champ Camp is a camp for children and adolescents, ages six and up, who have tracheostomies and those that require respiratory assistance, including the use of ventilators. Many campers also have unique physical challenges, including quadriplegia. In the main toolbar, select Camper to view Camper Criteria to see if your child meets the necessary camper qualifications. The Children’s Hospital Association advances child health through innovation in the quality, cost and delivery of care with our children’s hospitals. CHA represents 220 children’s hospitals, which set the standard for the highest quality pediatric care while training the next generation of pediatricians. With its members, the CHA champions policies that enable children’s hospitals to better serve children; leverages its position as the pediatric leader in data analytics to facilitate national collaborative and research efforts to improve performance; and spreads best practices to benefit the nation’s children. Click on “Directories” on the top toolbar to find a hospital near you. Children’s records approximately 25,600 inpatient admissions each year, and our 228 specialized clinical programs schedule more than 543,100 visits annually. Additionally, the hospital performs 25,800 surgical procedures and 200,000 radiological examinations every year. 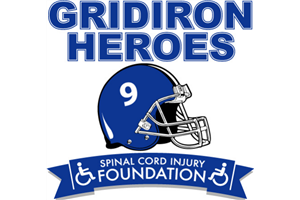 The Christopher and Dana Reeve Foundation is committed to raising funds to support research on spinal cord injury and to improving the quality of life of people living with paralysis. The Foundation’s Paralysis Resource Center provides a robust collection of resources that span key areas of life. Scroll down to obtain a FREE 442 page Paralysis Resource Guide in hard copy or electronic format, Wallet Cards on autonomic dysreflexia, deep vein thrombosis, and sepsis. The Resource Center also provides a Peer Mentor program to support life-long learning. Persons interested in connecting with someone to answer questions directly via phone or email can do so through the “Ask Us Anything” link. The Connecticut Youth Leadership Project (CTYLP) is a youth leadership program that empowers youth with disabilities to realize their leadership potential. Through self-awareness and team building activities, young adults explore leadership styles to develop and implement team and personal leadership plans. Although this program only runs in Connecticut, their goal is to help youth with disabilities meet the challenges of the future, overcome obstacles and become leaders so that they can make a difference in their communities and for others with disabilities. An important step in advocating for your loved one includes organizing information that supports daily care. 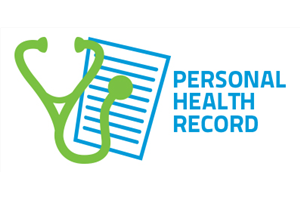 A personal health record is a tool that enables consumers to manage health information so they can communicate more effectively and easily with health care providers. This consumer education sheet provides a basic template to help you begin the process of creating a personal health record. Additional links to other commercially available products to help track information are provided as well. The Emerging Leaders Insternship Program for College Students with Disabilities, funded by the UPS Foundation and coordinated by the National Business and Disability Council (NBDC) at the VIscardi Center, is a highly competitive program that places top undergraduate and graduate college students with disabilities in fulfilling internships nationwide that also provide them with meaningful leadership development and networking opportunities. Family Benefits Solutions, Inc. (FBS) is dedicated to protecting and supporting the well-being of familes with special needs. FBS helps families to obtain an objective view of their personal situation, become more knowledgeable about available benefit programs, play an integral role in the application process and ensure future beneifts are sustained. Family Benefits Solutions helps families to make long-term decisions during a journey that can be filled with uncertainty, difficult choices, emotional weariness and a feeling of “not knowing what is out there.” Their goal is to help families reach a more comfortable today and a peaceful tommorrow. 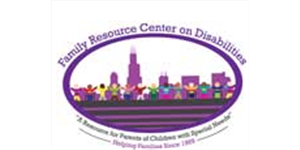 The Family Resource Center on Disabilities (FRCD) was a pioneer as a coalition that covered all disabilities. FRCD was organized in 1969 by parents, professionals, and volunteers who sought to improve services for all children with disabilities, with efforts to educate and train parents, professionals, and volunteers. Click on Resources at the top toolbar to explore many sources of help for parents of children with disabilities. 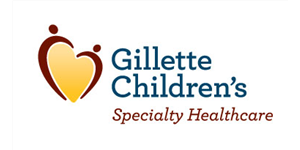 Gillette Children’s Specialty Healthcare is an independent, not-for-profit hospital located in St. Paul, Minnesota, with clinics in Duluth, Burnsville, Maple Grove, Minnetonka, and services for adult patients at our St.Paul – Phalen Clinic. Gillette is internationally renowned for a level of pediatric expertise that distinguishes us from many health care organizations. Girlshealth.gov was created in 2002 by the U.S. Department of Health and Human Services’ (HHS) Office on Women’s Health (OWH) to help girls (ages 10 to 16) learn about health, growing up, and issues they may face. Girlshealth.gov promotes healthy and positive behaviors in girls, giving them reliable and useful health information in a fun, easy-to-understand way. 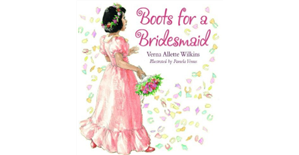 The website also provides information on Illness & Disability to help teach girls wiht disabilities, family members, and friends about healthy living. Got Transition/Center for Health Care Transition Improvement is a cooperative agreement between the Maternal and Child Health Bureau and The National Alliance to Advance Adolescent Health. They aim to improve transition from pediatric to adult health care through the use of new and innovative strategies for health professionals and youth and families. By law, students with disabilities are entitled to appropriate accommodations and modifications to assist in achieving and maintaining educational success. This resource, from the Rehabilitation Institute of Chicago LIFE Center, provides detailed descriptions of the 504 Plan and Individual Education Plan (IEP) so you can become informed and prepared to work with your child’s or own education team to create an optimal learning experience. The HEALTH Resource Center is a national clearinghouse of educational resources for individuals with disabilities. Managed by the George Washington University Graduate School of Education and Human Development. Explore the Center’s Resources and Publications for information and advice about making decisions and overall preparation for entering college with a disability. Frequently Asked Questions can also assist parents whose children are making this transition. Healthfinder.gov has resources on a wide range of health topics selected from over 1,600 government and non-profit organizations. This government website is designed to help you and those you care about stay healthy. 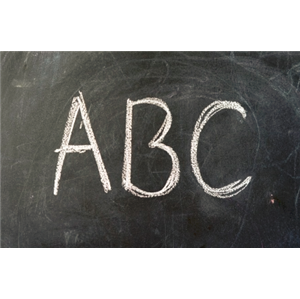 Health Topics A to Z provides information on health conditions and diseases, nutrition and physical activity, doctor visits, everyday healthy living, pregnancy and parenting. Soft skills help youth succeed in life no matter what they are doing. This consumer education sheet from the National Collaborative on Workforce and Disability provides helpful hints to enhance and develop communication skills, interpersonal skills, decision making skills, and a desire for lifelong learning. IN*SOURCE is a parent organization that provides support services and educational resources to Indiana families. Through the work of staff and many volunteers, virtually all of whom are parents of persons with disabilities, IN*SOURCE provides parents, families and service providers in Indiana the information and training necessary to assure effective educational programs and appropriate services for children and young adults with disabilities. IN*SOURCE also provides an array of resources to allow parents to quickly assist their children – regardless if the topic is bullying in school or how to transition their child from school into adult life. The International Center for Spinal Cord Injury (ICSpinal Cord Injury) at Kennedy Krieger Institute was founded on the philosophy that individuals with paralysis can always hope for recovery of sensation, function, mobility, and independence, months and even years after injury. The program offers a coordinated continuum of care with services for individuals at all phases of recovery, including an in-patient hospital unit, home- and community-based services, and outpatient specialty programs. Located in Baltimore, Maryland, ICSpinal Cord Injury is one of the first facilities in the world to combine innovative research with a unique focus on restoration and rehabilitation for children and adults with chronic paralysis. The School Programs at Kennedy Krieger Institute has recieved awards in leadership and special education. Explore the Special Education section to learn more about programs and events at schools in Baltimore, Washington, DC, and other partnership programs across Maryland. As one of twelve spinal cord injury research centers in the U.S., the Kentucky Spinal Cord Injury Research Center is dedicated to developing effective treatments for both adult and children who live with a spinal cord injury. This goal is guided by our mission: “to develop successful spinal cord repair strategies in the laboratory that can be taken to the clinic in a timely and responsible fashion”. Parents of youth with disabilities should begin thinking about transition (planning for adulthood) as early as possible. 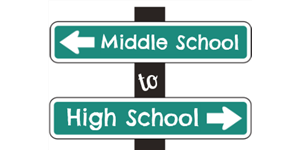 Although the formal process of transition planning doesn’t begin until high school, it is helpful to begin thinking about it much sooner. PACER’s National Parent Center on Transition and Employment provides various consumer education sheets to assist with this process, including information on Individuals with Disabilities Education Act (IDEA) and Individualized Education Progorams (IEPs), College Planning, and Preparing for Employment. The mission of the National Center is to work in cooperation with federal agencies, particularly the Maternal and Child Health Bureau (MCHB), to ensure that children with special needs have access to a medical home. The National Center provides support to physicians, families, and other medical and non-medical providers who care for children and youth with special needs. The Families and Caregivers page includes tools, resources, and links to information to assist families in successfully partnering with their child’s medical home professionals. 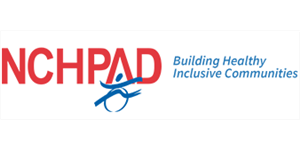 This National Center on Physical Activity and Disability factsheet provides a list of summer camps by state to assist children and adults with disabilities in finding a camp that fits their interests, needs, and goals. Programs range from day and overnight camps, to specialized sports and arts and crafts. Click on sections of the Table of Contents at the right toolbar to identify Camp Guides and Online Camp Resources. The National Child Traumatic Stress Network was established to improve access to care, treatment, and services for traumatized children and adolescents exposed to traumatic events. The Resources section provides materials on child traumatic stress arranged by audiences, topics, and online research. 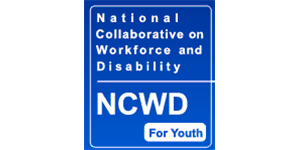 The National Collaborative on Workforce and Disability for Youth assists state and local workforce development systems to better serve all youth, including youth with disabilities. This resource center partners with expertise in education, youth development, disability, employment, workforce development and family issues to provide extensive resources that can assist families in developing youth leadership and workforce skills, self-advocacy, and other key skills that support successfull community integration and independence. Click on Publications by Topic to explore briefs, fact sheets, guides, and white papers. OSERS is part of the U.S. Department of Education committed to improving opportunities in education and employment for people with disabilities by supporting programs that facilitate equal access to disabled individuals. Here you’ll find research, policies and programs dedicated to this initiative. The website offers detailed information on understanding and implementing important legislation as well as publications and tools for making education and employment more accessible. Within the index in the center of the home page, select Reports & Resources. This page offers publications and fact sheets about employment and educational opportunities, and disability rights. PACER Center is a parent training and information center for families of children and youth with all disabilities from birth to young adults. Located in Minneapolis, it serves families across the nation, as well as those in Minnesota. Parents can find publications, workshops, and other resources to help make decisions about education, vocational training, employment, and other services for their children with disabilities. PACER’s YouTube Channel offers many helpful vidos on a variety of subjects, including assistive technology, speical education, and bullying prevention. PACER’s National Parent Center on Transition and Employment provides quality information and resources for families of young adults with disabilities on transition planning, civil rights, work-based learning, career accommodations, higher education, financial aid, and much more. It serves as a comprehensive source of information designed to support families’ varied needs. Ramp Less Traveled provides scholarships and mentoring opportunities to assist those who have sustained spinal cord injuries in the pursuit of higher education. They pair scholarship recipients with experienced mentors who help guide students and their parents along the path to college success. The mentoring relationship is comprehensive and ongoing, and Ramp Less Traveled does their best to ensure a successful and rewarding college entrance following injury. Shriners Hospitals for Children is a health care system of 22 hospitals dedicated to improving the lives of children by providing specialty pediatric care, innovative research and teaching programs. Children up to the age of 18 with orthopedic conditions, burns, spinal cord injuries and cleft lip and palate are eligible for admission and receive all care in a family-centered environment with no financial obligation to patients or families. Three locations specialize in pediatric spinal cord injury medicine and rehabilitation; they are located in Sacramento, Ca, Chicago, IL and Philadelphia, PA. Transportation is also provided at no cost. This booklet, from the Social Security Administration, is for the parents, caregivers, or representatives of children younger than age 18 who have disabilities that might make them eligible for Supplemental Security Income (SSI) payments. It is also for adults who became disabled in childhood (prior to 22), and who might be entitled to Social Security Disability Insurance (SSDI) benefits. (We call this SSDI benefits a “child’s” benefit because it’s paid on a parent’s Social Security earnings record.) 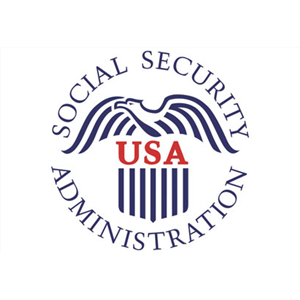 This booklet will help you decide if your child, or a child you know, might b eligible for SSI or Social Security. The purpose of this site, sponsored by the Academy of Special Needs Planners, is to provide a general overview of strategies parents and others can use to plan for their own futures and for those of family members with special needs. Topics include information on Estate Planning, Special Needs Trusts, Financial Planning, SSI and SSDI, Settlement Planning, Public Beneifits, and Disability Issues. This site also provides a directory of Special Needs Planners by state. If you care for a child or other loved one with a disability, you’ve no doubt thought about what will happen when you’re no longer able to give that care. 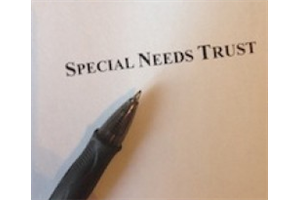 Special Needs Trust shows you how to leave any amount of money to your disabled loved one without jeopardizing government benefits. Support for Families of Children with Disabilities (SFCD) is a parent-run San Francisco-based nonprofit organization founded in 1982. They support families of children with any kind of disability or special health care need as they face challenges. The purpose of Support for Families is to ensure that families of children with any kind of disability or special health care need have the knowledge and support to make informed choices that enhance their children’s development and well being. Through fostering partnership among families, professionals and the community our children can flourish. Explore SFCD Services to identify support options. What is it like to attend a college or university after spinal cord injury? The biggest hurdle is often your perception or confidence in yourself. Once you make the decision that you are ready to attend college, your campus disability services office is available to help with the details. These professionals will coordinate academic accommodations, such as accessible classrooms, note- and test-taking assistance, and e-books, as well as environmental accessibility for classrooms, dorms, and on-campus transporation. 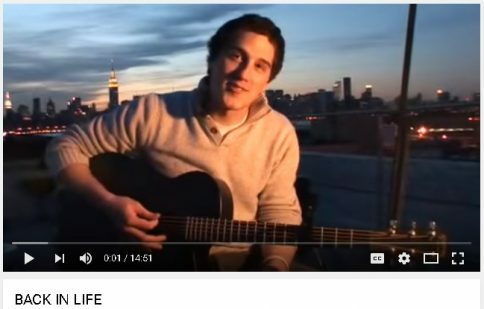 This video provides candid remarks from students who have attended school after injury with reflections on how to enjoy the social aspects of college life, like participating in sports, clubs, theater and Greek life, as well as making new friends. In this beautiful example of a child’s innocence we are taught that a little imagination can take us a long way. What the rest of the world sees as a limitation becomes a great source of adventure and freedom. 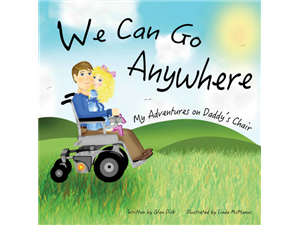 Little Elaina shows her dad there is much more to him than meets the eye, and in the process proves that love knows no limitations. The Yellow Pages for Kids with Disabilities is database of professional contacts for people looking for support or information on any type of childhood disability. Search by state for resources on your child’s disability on topics such as legal advice, healthcare and educational resources, government aid, doctors and specialists. Click you location under Select a State. This will lead you to a list of professionals, programs and resources in your state. A specific listing of Nation-wide Parent Training and Information Centers and Community Parent Resource Centers is also provided on this website. 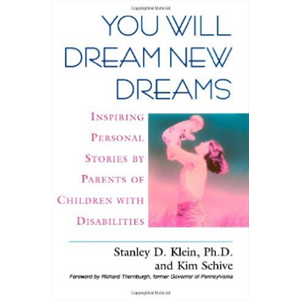 This book of personal stories of parents of children living with a disability complied by Stanley D. Kline and Kim Schive.